This very clever yarn cutter is also doubles as a necklace! It has a sharp, circular blade inside the antique-finish metal exterior. Each notched edge cleanly and quickly cuts yarn without any harm to fingers. 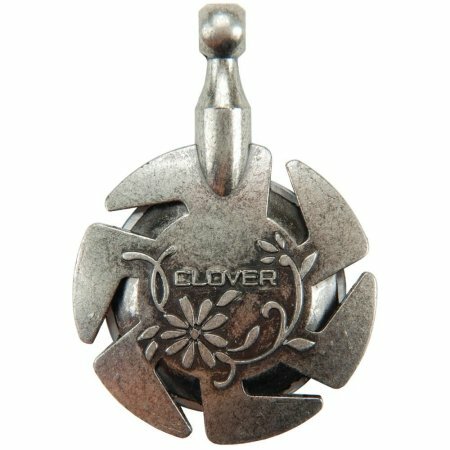 Cutter can be set atop a thread reel for easy access or strung on a decorative ribbon and used as a pendant.